Jaime Weisenblum draws upon his forty years of experience playing, studying and repairing many of the world's finest instruments. His photographic memory allows him to vividly recall instruments that came into his hands even as a young professional. 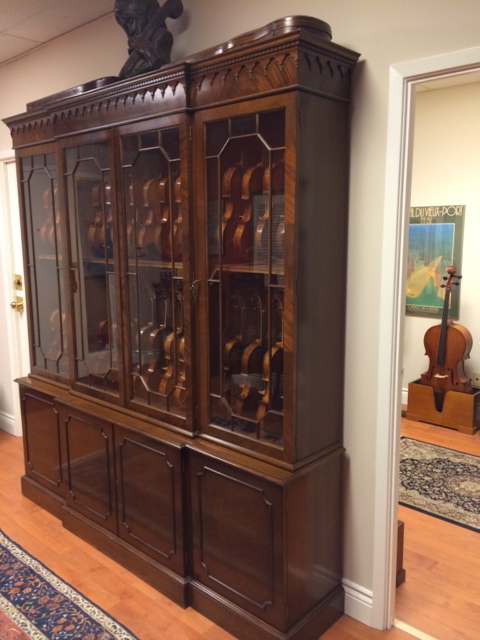 He began writing appraisals in 1972 during his apprenticeship at Havivi Violins in New York City. Verbal appraisals are free. Written and insurance appraisals are $100. Tutti Violini offers a full range of expert repair services including gluing (seams and cracks), peg/bridge/soundpost adjustments and replacement, retouching, cleaning and polishing. Jaime Weisenblum apprenticed in New York City with some of North America's foremost makers and restorers including Simone Saconi and Luis Bellini; he brings both expert skills and years of experience to more serious/major restoration issues. Bow repairs, straightening etc., are among our available services, and bows are re-haired with fine qualities of Mongolian hair. Throughout the years of working in the great houses in New York and his ensuing international performing career as a concert soloist, chamber music artist and concertmaster Jaime Weisenblum has both played and worked on hundreds of the world's finest instruments. This almost unique combination of practical experience and musical skills is extremely rare in the violin business, and his adjustments, which draw out the full potential of character and clarity of sound, are second to none.